"Is this the Caped Crusader? Come to Gotham City Police Headquarters at once!" In creating music for early cinema, I continue to be surprised by all the connections that exist between silent film and the pop culture of my childhood. The above gentleman falls into that category: as a kid, I knew him as Gotham City's "Commissioner Gordon," ready to use his red "hotline" telephone to reach Batman at any time. But four decades prior to that, audiences around the world knew him as affable leading man Neil Hamilton, seen above in the silent film version of 'The Great Gatsby' (1926), one of his more notable roles. Alas, the picture is lost. But many of his others aren't, and one of them is part of this year's silent film schedule at the Manchester City Library, 405 Pine St. in downtown Manchester, N.H.
'The Shield of Honor' (1928) is a police-focused crime drama starring Hamilton and also Thelma Todd in an early appearance. The film never gets shown, which is why it's on the schedule this year in Manchester. 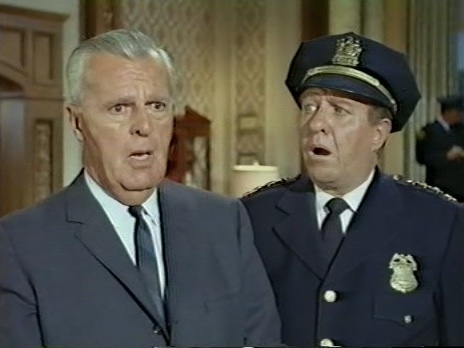 At left, Hamilton as Commissioner Gordon the 'Batman' TV series, with perennial stooge Sergeant O'Hara. See, the focus of the series is to give neglected films a chance to be shown in the environment for which they were created: in a theater with a big screen, with live music, and—most importantly—a live audience. For the audience part to work, we need people. Duh, right? So in 2017, if you're within traveling distance to Manchester, N.H., I hope you'll make it a point to drop in on a few screenings and see for yourself. 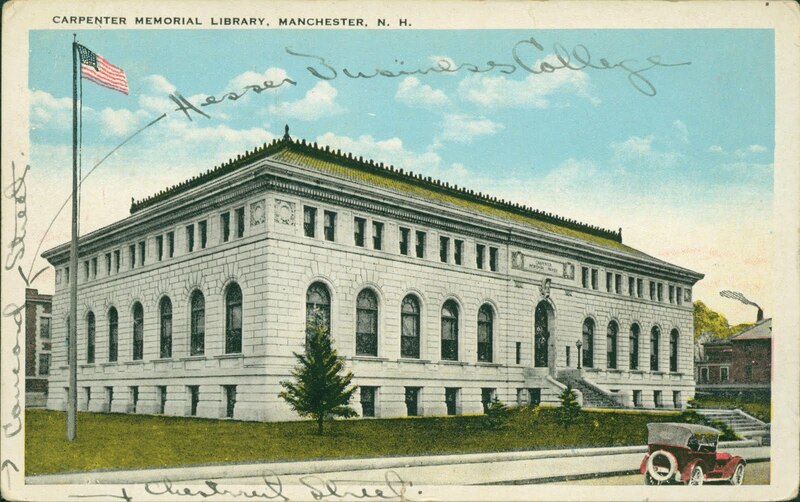 The Manchester City Library as depicted on an old postcard. It's surprising now many pictures not regarded as classics still hold up when shown under the right conditions, which we try to recreate once a month in the library's Carpenter Memorial Auditorium. 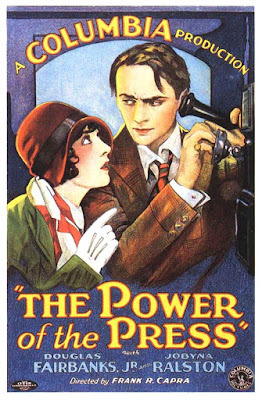 First up is a light-hearted drama, 'The Power of the Press' (1928), directed by none other than a young Frank Capra! Starring Douglas Fairbanks Jr. and Jobyna Ralson (known best as Harold Lloyd's leading lady through much of the 1920s), it's missing a few scenes but has the potential to be a real winner. So it may not be recognized as an official masterpiece. But with big names associated with it, 'The Power the The Press' has an impressive pedigree and I think deserves a chance, don't you? If you do, please join us on Tuesday, Jan. 3 at 6 p.m. for the kick-off screening of the 2017 silent film series at the Manchester City Library. Admission is free, with donations accepted to help defray expenses. Carpenter Memorial Auditorium is located on the lower level of the Manchester City Library, 405 Pine St., Manchester, N.H.
For more information about the film, and all the titles we've lined up for 2017, check out the press release I've pasted in below. Thanks—and Happy New Year to all! An original poster for 'The Power of the Press' (1928), which we're showing on Tuesday, Jan. 3 at the Manchester (N.H.) City Library. MANCHESTER, N.H.—Films that first caused audiences to fall in love with the movies will be shown throughout 2017 at the Manchester City Library, 405 Pine St. in downtown Manchester, N.H. The library's monthly series of films from cinema's early years, shown with live music by silent film accompanist Jeff Rapsis, will continue throughout the coming year. The programs are free and open to the public, with donations accepted to defray expenses. The shows, which take place generally on the first Tuesday of the month, begin at 6 p.m. and are held in the library's Carpenter Memorial Auditorium. The series is designed to show early cinema the way it was intended to be seen: with a live audience, on the big screen, and with live music. 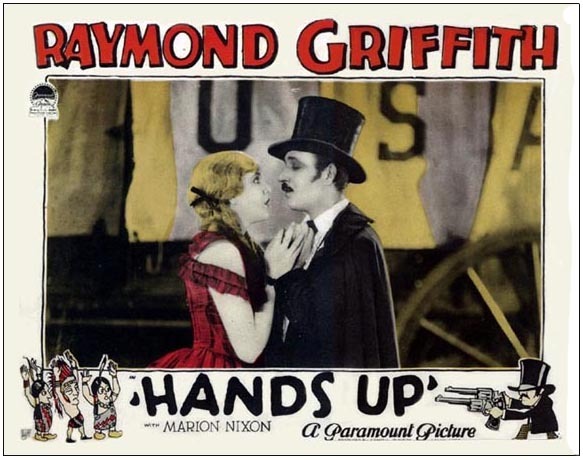 "Put those elements back together, and the films can sometimes leap right back to life," said Rapsis, a New Hampshire resident who accompanies silent film screenings around the nation. The library's series focuses on reviving films that rarely receive screenings. 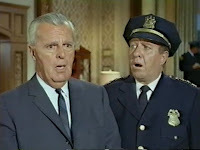 This year's schedule includes an early Frank Capra drama, a Shakespearean adaptation from Germany, and a police drama starring Neil Hamilton, a young leading man who many years later would go on to play Commissioner Gordon in the popular 1960s "Batman" TV series. 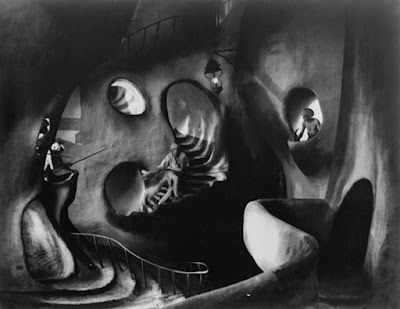 A scene from German director Paul Leni's visually imaginative drama 'Waxworks' (1924). Rapsis said audiences are surprised at how much entertainment value remains in the works of early moviemakers. 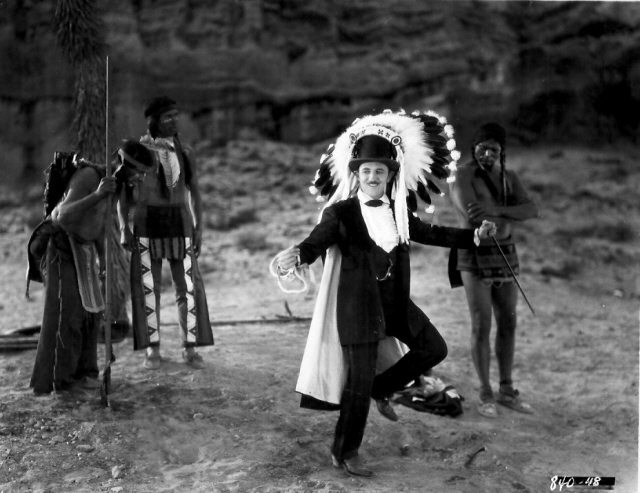 "When these films were playing in theaters, no one called them "silent movies," Rapsis said. "They were just "the movies," and told their stories visually and with music, so no one felt anything was missing." Today the films also function as visual time capsules, allowing audiences to see vividly how daily life was lived a century ago or more. To score a silent film, Rapsis uses a digital synthesizer to recreate the texture of the full orchestra. The soundtrack is created live in real time as the movie is screened. First up in 2017 is 'The Power of the Press' a light-hearted drama from 1928 directed by Frank Capra and starring Douglas Fairbanks, Jr. and Jobyna Ralston. Clem Rogers (Fairbanks) is a cub reporter writing obits and weather reports when he gets a chance at a story so big he's sure to get the front page. 'The Power of the Press' will be screened on Tuesday, Jan. 3 at 6 p.m. in the Carpenter Memorial Auditorium. • Tuesday, March 7, 2017, 6 p.m.: 'The Shamrock and the Rose' (1927) starring Mack Swain, Olive Hasbrouck; prepare for St. Patrick's with this vintage ethnic comedy about the Irish Kellys family and the Jewish Cohens, neighbors in home, rivals in business—and now forced to deal with an unexpected inter-family romance! • Tuesday, April 4, 2017, 6 p.m.: 'Othello' (1922) starring Emil Jannings, Werner Krauss; we celebrate Shakespeare's birthday (he died this month, too) with an early silent version of the bard's immortal tragedy as brought to the screen in an early German version. • Tuesday, May 2, 2017, 6 p.m.: 'Let's Go' (1923) starring Richard Talmadge, Eileen Percy; light-hearted romp with Talmadge playing scion of a family-owned cement company. A business trip brings headaches over a paving contract, but also a chance at romance. • Tuesday, June 27, 2017, 6 p.m.: 'Tempest' (1928) starring John Gilbert, Camilla Horn; epic drama in which an officer in the Czar's army (Barrymore) falls hard for a haughty princess (Horn), who spurns him and causes him to be stripped of rank. But the tables are turned with the Russian revolution, which upends the aristocracy and puts the soldier and the princess at the mercy of forces that no one can control. 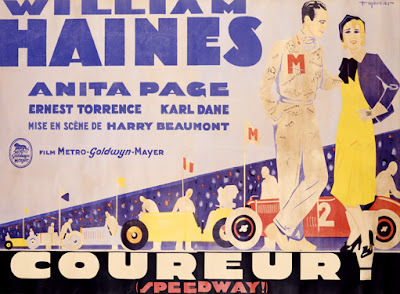 • Tuesday, Aug, 1, 2017, 6 p.m.: 'Christine of the Big Tops' (1926) starring Pauline Garon, Cullen Landis; raised in a traveling circus, young orphan Christine is eager to prove her worth on the trapeze. But her real challenge is choosing between the affections of her Guardian and a young doctor. • Tuesday, Sept. 5, 2017, 6 p.m.: 'The Shield of Honor' (1927) starring Neil Hamilton; long before he played Commissioner Gordon in the iconic 1960s 'Batman' TV show, Neil Hamilton was a leading man, saving the day and getting the girl in a steady stream of films throughout the silent era. This vintage crime drama is a good example of his output. • Tuesday, Oct. 3, 2017, 6 p.m.: 'Waxworks' (1924) with Emil Jannings, Conrad Veidt, and Werner Krauss; just in time for Halloween: in this masterwork of the German Expressionist movement, a trilogy of terror is woven around the wax figures of a carnival sideshow. • Tuesday, Nov. 14, 2017, 6 p.m.: 'What Price Glory' (1926) starring Dolores del Río, Victor McLaglen; in the midst of World War I, two American GIs battle each other for the affections of a local girl in France. Comedy/drama was a big sprawling hit. • Tuesday, Dec. 5, 2017, 6 p.m.: 'Upstream' (1927); backstage intrigue is the name of the game in this John Ford-directed feature film that was considered lost for decades until a copy was recently unearthed in New Zealand. All screenings are free and open to the public, and take place in Carpenter Memorial Auditorium, Manchester Public Library, 405 Pine St., Manchester, N.H. The next film in the Manchester City Library's series of silent cinema with live music is 'The Power of the Press' (1928), directed by a very young Frank Capra, which will be shown with live music by Jeff Rapsis on Tuesday, Jan. 3, 2017 at 6 p.m.
A vintage trade ad for 'Tramp, Tramp, Tramp' (1926). 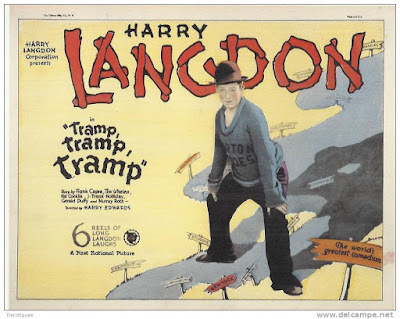 We enjoyed a big turnout at the Wilton (N.H.) Town Hall Theatre for the venue's final silent film show this year: Harry Langdon in 'Tramp, Tramp, Tramp' (1926) on Christmas afternoon. It was also my last show for the year, too. 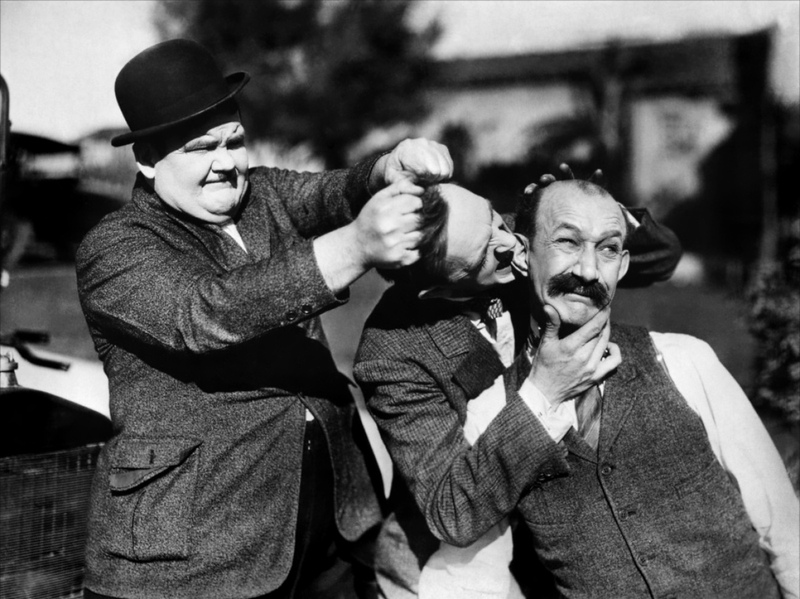 People responded strongly to the program, which also included Laurel & Hardy's classic short 'Big Business' (1929). So it was nice to go out on a high note. 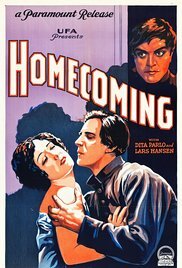 • In the first part of January, I'm scheduled to record scores for Gloria Swanson's 'Zaza,' which is being issued on Blu-ray by Kino Lorber, and for 'Homecoming' (1928), a silent German drama being reissued by Mark Roth of ReelClassicsDVD. com. • On Sunday, Jan. 31, I'm guest for the day of the music department at Phillips Exeter Academy in Exeter, N.H., where I'll lead workshops in improvisation and accompany a screening that evening. 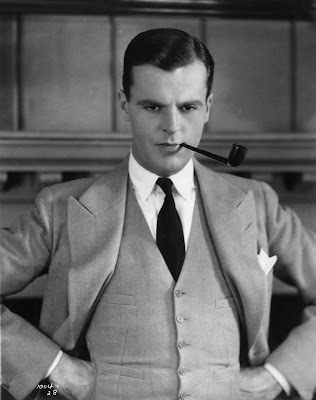 • On Wednesday, Feb. 8, I make my debut "across the pond" at the Kennington Bioscope, a well-known film theatre in London, England which runs occasional silent film programs—er, programmes. • On Sunday, Feb. 19, I'm manning the mighty Wurlitzer organ at the Orpheum Theatre in Sioux City, Iowa for a program of silent comedies, part of this year's prestigious Sioux Falls International Film Festival. I'm eager to do more theater organ, and this is a big break for me! • On Friday, Feb. 24 and Saturday, Feb. 25, it's the 21st Annual Kansas Silent Film Festival, where I'll collaborate with Marvin Faulwell and Ben Model to accompany a wide range of shorts and features. • On Thursday, March 2, it's a Chaplin program at the Carnegie, an art museum in Covington, Kentucky (just across the Ohio River from downtown Cincinnati), where I've appeared before and where it's always a pleasure to return. • And on Friday, March 3 and Saturday, March 4, I'll be in Cleveland, where John Ewing, director of the Cleveland Cinematheque, has invited me to accompany screenings at the Cleveland Museum of Art as well as his theater. So lots to look forward to in the first part of 2017. I'm very grateful for the opportunity to make music in so many venues, and to work and collaborate with so many talented people. In the years since I've returned to making music a large and regular part of my life, I've learned a lot. I've also developed, little by little, my own sense of the musical language that works for me. And with that, I'm eager to devote more time to fully written-out pieces, either for film scoring or other opportunities, such as the N.H. Philharmonic concert next month. So it's an exciting time. I've been telling people that in terms of music, I feel I'm finally where I hoped to be at about age 18. For now, let me just wish everyone a great New Year's holiday. Thank you for your interest in silent film and your support of the music that I do for it. Hope to see everyone often in the coming year! 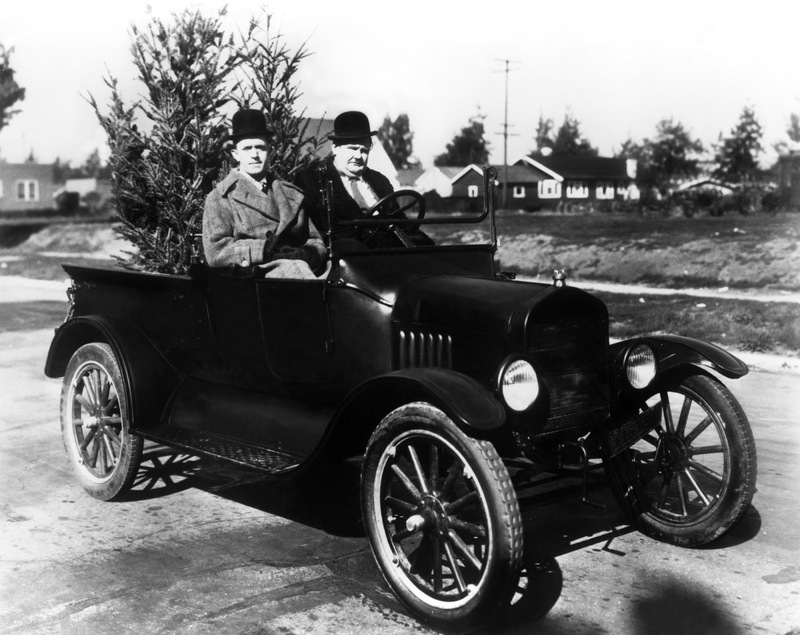 Stan and Ollie peddle holiday cheer in tree form. Get in a few chortles yourself by attending a special Christmas Day screening of silent film comedies at the Wilton (N.H.) Town Hall Theatre. I'll even wear one of my Christmas ties. So if the movies don't make you laugh, maybe my wardrobe choices will. This all begs the question: how did we end up with a silent film show on Christmas day? Well, it's all about the timing. For a monthly series, it helps to keep the screenings on the same day of the week and in the same week of each month. So, as an example: at the Manchester (N.H.) City Library, screenings are always on the first Tuesday of the month. That way, people get in the habit of knowing when films are running without having to check any listings. Once in awhile, this backfires. 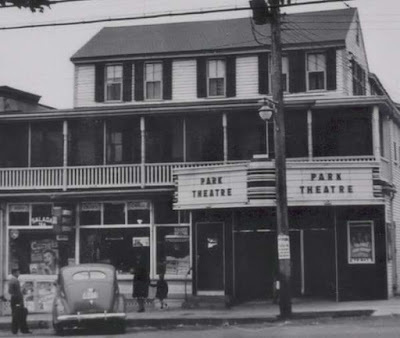 For instance: at the Wilton (N.H.) Town Hall Theatre, shows are the last Sunday afternoon of each month. So each May, I run into Memorial Day weekend, which leads to low attendance no matter what film we run, as people are out of town, etc. And this year, the last Sunday of December is Christmas Day itself: Sunday, Dec. 25. Well, we figured enough people will need a break by Christmas afternoon to justify going ahead with the screening as a kind of public service. And so we are. On Christmas afternoon at 4:30 p.m., I invite you to a program of crackerjack silent comedy accompanied by live music. Featured attraction is Harry Langdon's breakthrough comedy, 'Tramp Tramp Tramp' (1926). With a story by a very young Frank Capra, and with a very young Joan Crawford as Harry's love interest (really! ), Harry's first-ever feature-length film has a lot to recommend it. Original promotional material for 'Tramp Tramp Tramp' (1926). Like any solid silent comedy, it's full of great visual gags that remain funny today, 90 years after 'Tramp Tramp Tramp' was released. But the film also benefits from the antics and idiosyncrasies of Harry's weird man-child character, and also a narrative that displays the Capra-esque touch in embryonic form. Best of all, much of the movie takes place outdoors, in the wide open spaces. So 'Tramp Tramp Tramp' has the feel of so much of Buster Keaton's best work: a sense of limitless possibilities being discovered and explored for the first time. 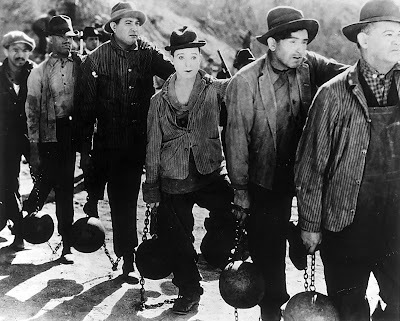 Watching these movies, I sometimes get a sense that filmmakers of the silent era, and especially the comedians, must have gone about their business feeling like what a kid feels like on Christmas morning. There, tied it together! Now you have no excuse to stay home. But just to be certain, I'm throwing in a surefire Christmas comedy starring two gentlemen named Mr. Laurel and Mr. Hardy. Given the immense pressure of the holiday season, it might be refreshing to see how their own dealings with the Yuletide spirit result in anything but peace on earth. So after all the presents are opened, give yourself the gift of laughter, even if it's directed at my tie. More details about our holiday program at the Town Hall Theatre are in the press release below. Don't have my own Kilimanjaro pics handy, so here's one from National Geographic. 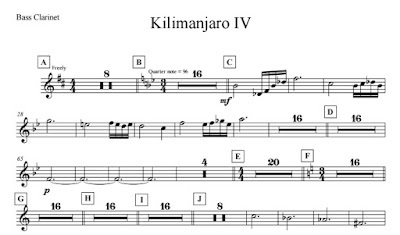 Also, I can report that my Kilimanjaro score for orchestra is pretty much complete. This past weekend I wrapped up the third movement and sent it off. I'll be generating parts now and getting them to the musicians of the New Hampshire Philharmonic for an expected run-through at a rehearsal this Sunday. I do still need to reshape a couple of things about the first movement, but that should be done soon. If all works out, the group might play all four movements at their upcoming concert on Sunday, Jan. 22. More details to come. But very exciting to be working with such a talented group and their music director, Mark Latham. As we get closer, I'll mount a full-court press to get people to attend. For now, save the date: Sunday, Jan. 22 at 2 p.m. at the Stockbridge Theatre in Derry, N.H.
For tickets and more information about the Philharmonic, visit www.nhphil.org. 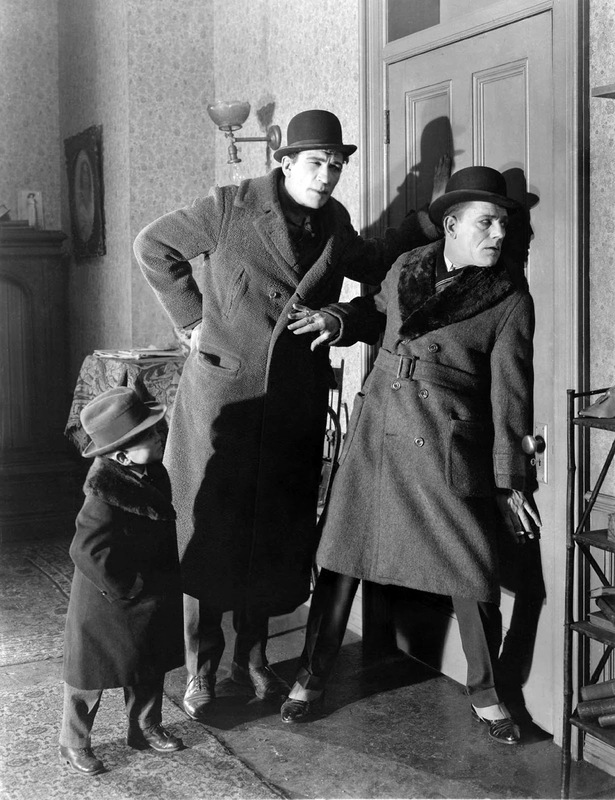 WILTON, N.H.—This Christmas Day, receive the gift of laughter with a program of vintage silent film comedy screened with live musical accompaniment at the Wilton Town Hall Theatre. The screening, on Sunday, Dec. 25 at 4:30 p.m., will be highlighted by classic slapstick from Laurel and Hardy, the most popular movie comedy team of all time. Joan Crawford, at the very beginning of her career, co-stars with Langdon, a comedian whose popularity rivaled that of Charlie Chaplin for a brief period in the 1920s. The family-friendly program will be presented at the Wilton Town Hall Theatre, 40 Main St., in Wilton, N.H. Admission is free; a donation of $5 per person is suggested to help defray expenses. Live music will be provided by silent film accompanist Jeff Rapsis, a New Hampshire-based silent film accompanist who performs regularly at screenings around the nation. 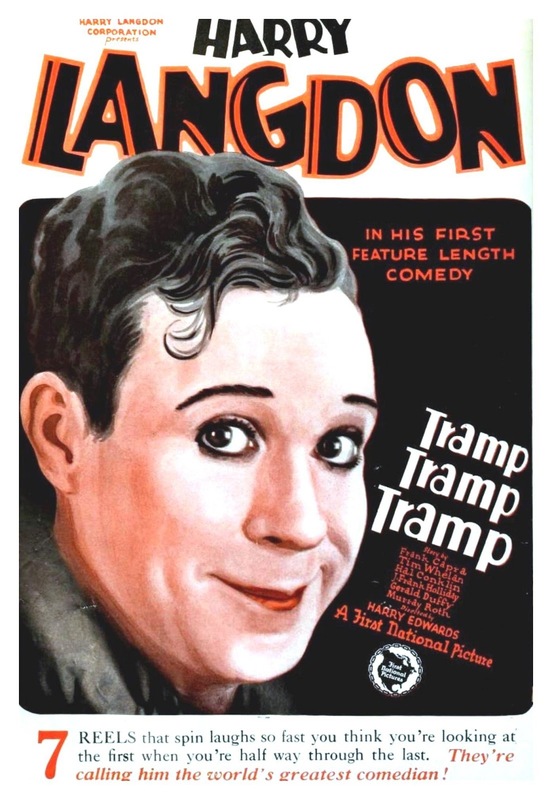 In 'Tramp Tramp Tramp,' Langdon plays a young man determined to rescue the family shoe business from a much larger manufacturer. To win money, he enters a cross-country walking race, but things get complicated when be develops a hopeless crash on the daughter of the rival factory's owner, whom he only knows through her picture on billboards. Can Harry beat the odds, win the race, get the girl, and save the family business? 'Tramp Tramp Tramp,' filmed outdoors and on location, takes viewers on a cross-country journey that pits Harry again convicts, police officers, and even Mother Nature. Can you spot the clown? Harry's cross-country journey takes some unexpected twists. 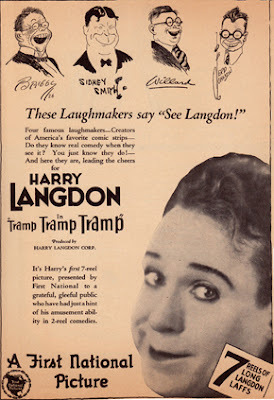 Langdon, a vaudeville performer and late-comer to silent film comedy, rocketed to sudden stardom in the late 1920s on the strength of 'Tramp Tramp Tramp' and other popular movies. His character was that of an innocent child-like man constantly bewildered by the complexity of modern life. Unlike many comedians of the era, Langdon earned laughs not by overreacting, but instead by his extreme slowness to respond. "It was a whole different way of doing comedy at the time, and was a breath of fresh air in the frenetic world of film comedy," said Jeff Rapsis, who will perform a live score to the movie during the screening. Langdon's popularity fizzled as the movie business abruptly switched to talkies in the late 1920s. As Langdon's career faded, that of Stan Laurel and Oliver Hardy was taking off. 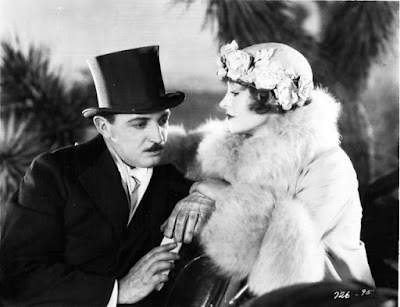 Paired in 1927, the duo first became popular in the final years of silent film-making. The Christmas Day program will feature one of the last silent comedy short subject made by Laurel and Hardy before their successful switchover to sound. 'Big Business ' (1929) finds the pair selling Christmas trees door-to-door in sunny California, where their interaction with potential customers leads to everything but peace on earth and goodwill toward men. Live music will be provided by Jeff Rapsis, a New Hampshire-based silent film accompanist who performs at screenings around the nation. Rapsis will make his debut as an accompanist in London, England in February, 2017. Seeing 'Tramp Tramp Tramp' at the Town Hall Theatre will give local audiences a chance to experience silent film as it was meant to be seen—on a large screen, with live music, and with an audience. 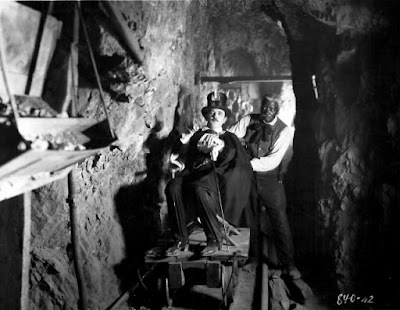 "All those elements are important parts of the silent film experience," said Rapsis, who improvises a movie's musical score live during the screening. "Recreate those conditions, and the classics of early Hollywood leap back to life in ways that can still move audiences today," he said. The silent film series honors the Town Hall Theatre's long service as a moviehouse that has entertained generations of movie-goers. • Sunday, Jan. 29, 2017, 4:30 p.m.: 'Way Down East' (1920) starring Lillian Gish. One of the most popular stories of the silent era features Lillian Gish as a wronged woman who can't escape her past. Still-thrilling climax on ice floes heading towards the falls was filmed on the Connecticut River! 'Tramp Tramp Tramp' (1926), a silent film comedy starring Harry Langdon and Joan Crawford, will be shown with live music on Sunday, Dec. 25 at 4:30 p.m. at the Wilton Town Hall Theatre, 40 Main St., Wilton, N.H. Free admission, suggested donation of $5 per person. For more info, call (603) 654-3456 or visit www.wiltontownhalltheatre.com. For more information about the music, visit jeffrapsis.com. 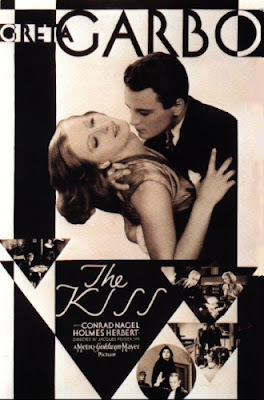 Promotional material for 'The Kiss' (1929). Things are quiet on the silent film performance front right now, but don't let that fool you. It's actually an intense time for me musically, with a number of projects in the works. First up: tomorrow night (Sunday, Dec. 4) brings the first run-through of the Kilimanjaro Suite, an orchestral score I've composed. The New Hampshire Philharmonic is including the work in a concert on Sunday, Jan. 22. 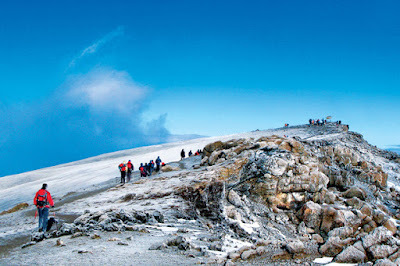 So the music will be played almost exactly two years since I was part of group that reached the summit of Kilimanjaro, Africa's highest peak. Tomorrow night's rehearsal is the first time the music will actually be played. Crossing my fingers, but the score came together without any really big problems. I actually completed it last September, and then (in a very uncharacteristic display of maturity) put it away for the autumn to give it time to settle. A sneak preview of the Bass Clarinet part. Then in the past few weeks, with rehearsals looming, I went back in and polished things up. Then, just this past week, I generated the parts and conductor's score. The parts have been sent out to the players. And on Friday I went down to the University of Massachusetts at Lowell to bring conductor Mark Latham a printed and bound copy of the full score. There's still a lot of work to do. But the composing phase is pretty much done, and it felt good to send the completed piece out to the performers. It was also weird. Unlike my silent film music, all the notes had to be written down. And that means it'll pretty much stay the way it is until next month's performance. I'm sure practical adjustments will be needed as we get into the score. But I've learned a lot (as always, just by doing), and it's already been a worthwhile experience. 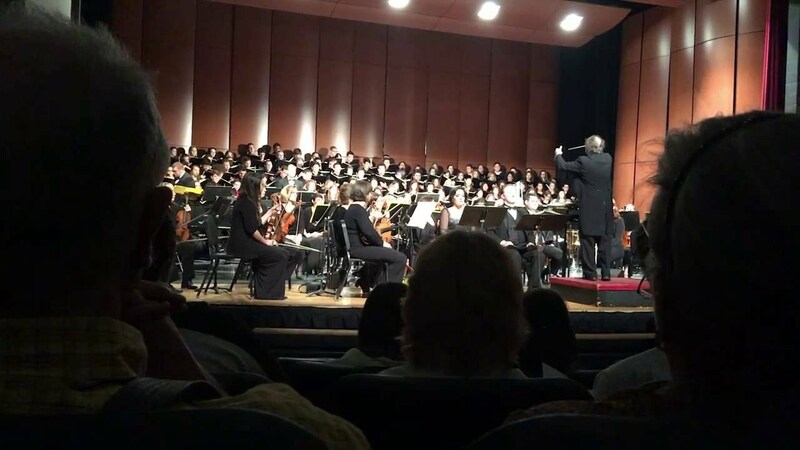 The N.H. Philharmonic performing 'Carmina Burana' earlier this year. 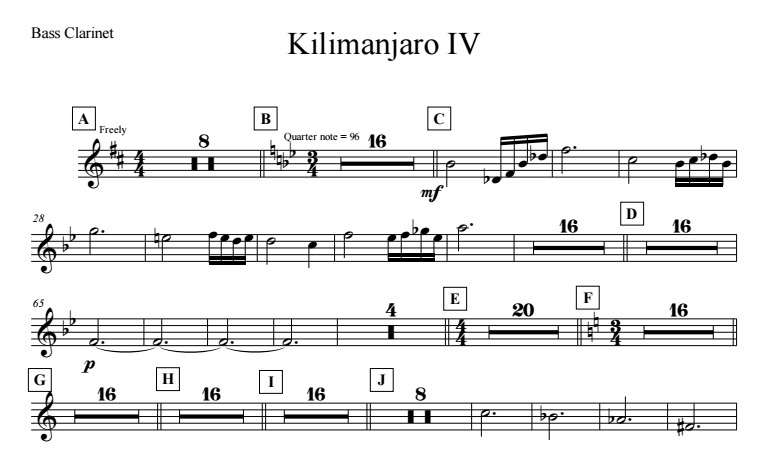 I'll post more details about the Kilimanjaro Suite as we work our way through rehearsals up to the world premiere. Like to attend? The performance will be on Sunday, Jan. 22 at 2 p.m. at the Stockbridge Theatre in Derry, N.H. For tickets and information, visit www.nhphil.org. This is another case of me stretching my musical legs, so to speak. Until now, I've focused on live performance and building up my instincts as an accompanist rather than on recording. But lately, I've felt my own musical language as well as my technique and approach for film scoring are at a place where recording makes sense. So when Mark reached out with 'Homecoming,' I jumped at the chance. So this month I'll be getting together some equipment to record and edit audio files. And there's more! In February, I'll be making my London debut as a silent film accompanist. But more on that as we get closer. • Tuesday, Dec. 6, 6:30 p.m.: 'Mockery' (1926) starring Lon Chaney; Manchester City Library, 405 Pine St., Manchester, N.H. Free admission, donations accepted. Already tired of Christmas? Then lose yourself in this Russian historical drama. During the Russian Revolution, a mentally challenged peasant saves a beautiful countess from invading Cossacks, then obsesses over her. Often overlooked Chaney drama with heavy helping of class warfare. • Wednesday, Dec. 7, 7 p.m.: Holiday-themed silent film program at the Townsend (Mass.) Public Library, 12 Dudley Road, Townsend, Mass. Free admission! What did people watch before special holiday TV programs such as "Rudolph the Red-Nosed Reindeer" and "A Charlie Brown Christmas" made their debut in the 1960s? See for yourself with a special program of holiday classics from way back during the silent film era, all accompanied by live music. Included will be the first-ever film versions of such popular tales as 'A Christmas Carol' by Charles Dickens and 'Twas the Night Before Christmas,' the poem by Clement C. Moore. • Thursday, Dec. 8, 6:30 p.m. 'The Kiss' (1929) starring Greta Garbo; The Flying Monkey Movie House and Performance Center, 39 South Main St., Plymouth, N.H. Admission $10 per person. Take a break from holiday shopping with this steamy romance and courtroom thriller. Will Garbo resort to murder, risking everything for love? Garbo's last silent role and the final silent film released by MGM. 'The Kiss' is a big one, incidentally, not only because it was MGM's final silent film. 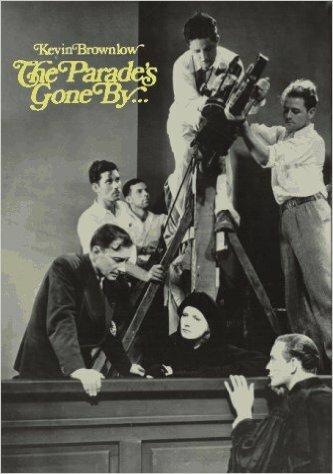 Also, a still from the courtroom scene was used on an edition of 'The Parade's Gone By,' Kevin Brownlow's tribute book to the silent film era, thus lending it a kind of iconic status among the vintage film community. The cover of Mr. Brownlow's book. For more details on 'The Kiss,' check out the press release below. And I don't know what the weather will be next Thursday. 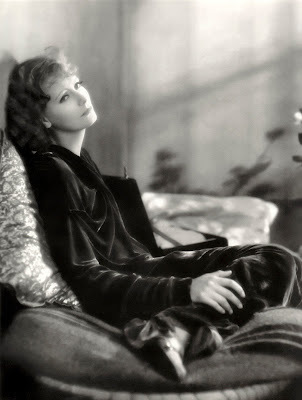 But with Garbo on screen, you can be sure that any winter chill will be vanquished. PLYMOUTH, N.H.—It was the very last silent film produced by a major studio in the United States. 'The Kiss,' an intense romantic murder mystery, will be screened with live music on Thursday, Dec. 8 at 6:30 p.m. at the Flying Monkey Theatre, 39 South Main St., Plymouth, N.H. Tickets are $10 per person. Garbo in her final role prior that people hearing that famous accent. "So the Flying Monkey's silent film screenings are a great chance for people to experience films that caused people to first fall in love with the movies," he said. 'The Kiss' is the latest in a monthly series of silent films presented with live music at the Flying Monkey. "If you can put pieces of the experience back together again, it's surprising how these films snap back to life," Rapsis said. "By showing the films under the right conditions, you can get a sense of why people first fell in love with the movies." • Thursday, Jan. 12, 2017, 6:30 p.m.: 'Peter Pan' (1924) starring Betty Bronson, Ernest Torrence. The original silent film adaptation of J.M. Barrie's immortal tale of the boy who wouldn't grow up. Join the Darling children as they follow Peter to Never Never Land to do battle with the evil Captain Hook. Original poster for 'Speedway' (1929). 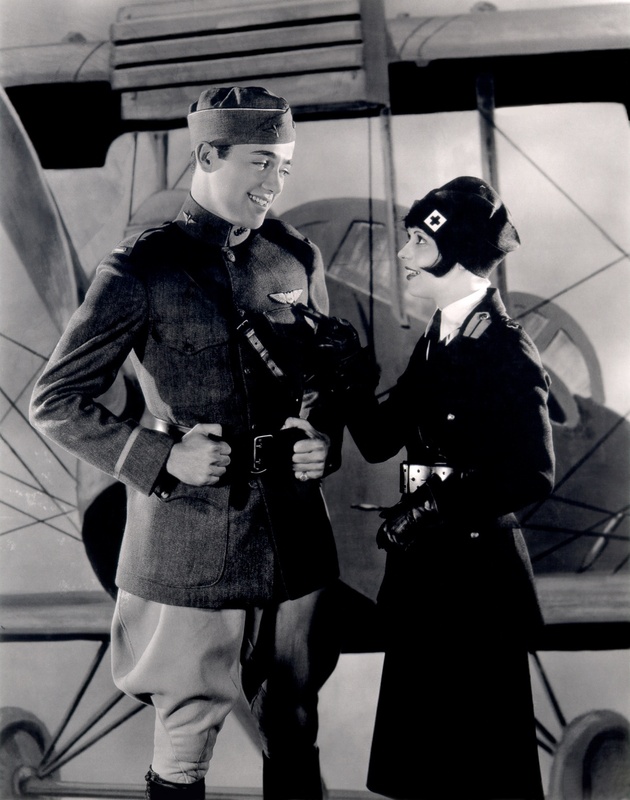 'The Kiss' (1929) will be shown on Thursday, Dec. 8 at 6:30 p.m. at the Flying Monkey Moviehouse and Performance Center, 39 South Main St., Plymouth, N.H. Admission is $10 per person. For more info, call (603) 536-2551 or visit www.flyingmonkeynh.com. For more info on the music, visit www.jeffrapsis.com. ...or are the scariest days yet to come? A pseudo-audience member awaits 'The Man Who Laughs' at the Leavitt Theatre. • On Friday, Oct. 28, created a live score for 'Nosferatu' (1922) at the Regent Theatre in Arlington, Mass. 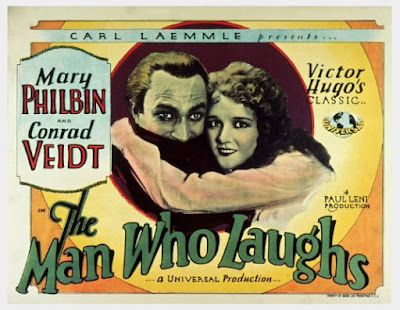 • On Saturday, Oct. 29, did music for 'The Man Who Laughs' (1928) at the Leavitt Theatre in Ogunquit, Maine. • And finally, on Sunday, Oct. 30, accompanied 'The Phantom of the Opera' (1925) at the Town Hall Theatre in Wilton, N.H.
For each of these shows, the music fell together a very satisfying way. I felt I was able to come up with suitably dramatic and/or spooky music when needed, but also stuff that allowed the humor in each film to come out. Put another way: each of the films was able to breathe. Pre-show prep at the Leavitt Theatre, with fog and fake attendees. For 'Nosferatu,' it was the only time this year I played for this film, so it had a freshness and excitement that's sometimes difficult to manage when you've already accompanied a title, say, three times in two weeks. I know the movie well enough, so I didn't even preview it prior to the screening, which drew a huge crowd to the Regent. I actually did remember one thing about 'Nosferatu': that I need a musical signature for the images of a rooster crowing, which form an important part of the film's climax. This time I remembered, and it all worked very effectively. But on the other hand, I muffed one of the two scenes where the clock is striking midnight. The first time, it's pretty easy: the camera cuts to a clock, which is when I start the chimes: in my case, a small bellhop bell tapped steadily 12 time, if I count right. But the second time (on the next night), the character of Hutter hears the chimes sounding, and reacts to them, before the scene cuts to the same clock, with the ringing in progress. On Friday night, poor Hutter reacted quite visibly to chimes that couldn't be heard until the camera cut to them. Ooops! The perils of trying to time sound effects to on-screen action. But afterwards, a guy said he thought I totally nailed it. So go figure! The next night, the screening of 'The Man Who Laughs' up at the Leavitt Theatre in Ogunquit, Maine was memorable as much for the atmosphere as for the music. Patrons of the Leavitt Theatre had to negotiate this display outside the lobby. And at the Leavitt Theatre, the Clayton family had transformed their vintage building (opened in 1923), into a "haunted theater," filling the interior with cobwebs and stage fog. During the day, visitors brave enough to enter were taken inside, where mannequins sat motionless in the chairs and spirits were liable to pop out from anywhere! The tours continued past 7 p.m., and all the decorations were left in place, so the theater just sort of morphed into a movie theater at some point prior to our show, with me using a pipe organ patch to play spooky funeral parlor music on my keyboard. Ian Clayton of the Leavitt on stage above my cob-webby keyboard in the pit. I had accumulated some good material, I thought, and so was able work it up into something pretty effective for Saturday's final go-round. Very gratifying to help this great film come to life and connect with audiences. For 'Phantom of the Opera' on Sunday, I was able to once more use the opening line that I developed for this season's screenings: "Nothing is more appropriate for Halloween than a silent film because EVERYONE in this picture is DEAD!" It produces laughs. What can I say? Well, in Wilton, I said that until very recently, everyone in 'Phantom' was NOT dead. Carla Laemmle, niece of Universal Studios boss Carl Laemmle, danced in 'Phantom' as a teenager. 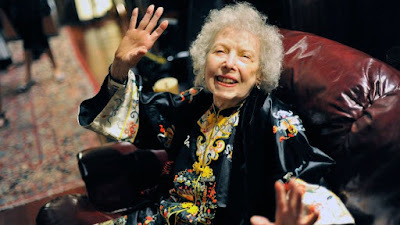 And by God if she still wasn't with us all the way up until 2014, when she died at age 104. This earned Carla a spontaneous round of applause! Carla still going strong in her later years. I also tried out the "audience participation" approach I've developed with Phantom screenings. The Wilton crowd, one of the largest we've ever hosted, was into it: they applauded lustily during the on-screen opera house ovations, and shrieked pretty convincingly when the chandelier dropped and you-know-who got unmasked. And with that we enter November, and with that the calendar lightens up a bit. But not right away. Tomorrow night, I have a "fire and water" double feature at the Manchester (N.H.) City Library. The two flicks on the program are firefighting drama 'The Third Alarm' (1922) and Coast Guard adventure 'Coast Patrol' (1925). And then I take a deep breath before tackling 'Wings' on Friday night for the Aviation Museum of N.H., which is screening the film as a benefit in their hanger on the grounds of Manchester-Boston Regional Airport. More on that in a follow-up post. 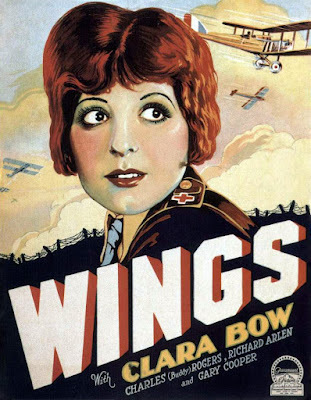 And then the next morning, I return to the same airport to fly out on my way to San Francisco, where that night I'm accompanying William S. Hart's very first film, 'The Bargain' (1914) at the wonderful Niles Essanay Silent Film Museum. 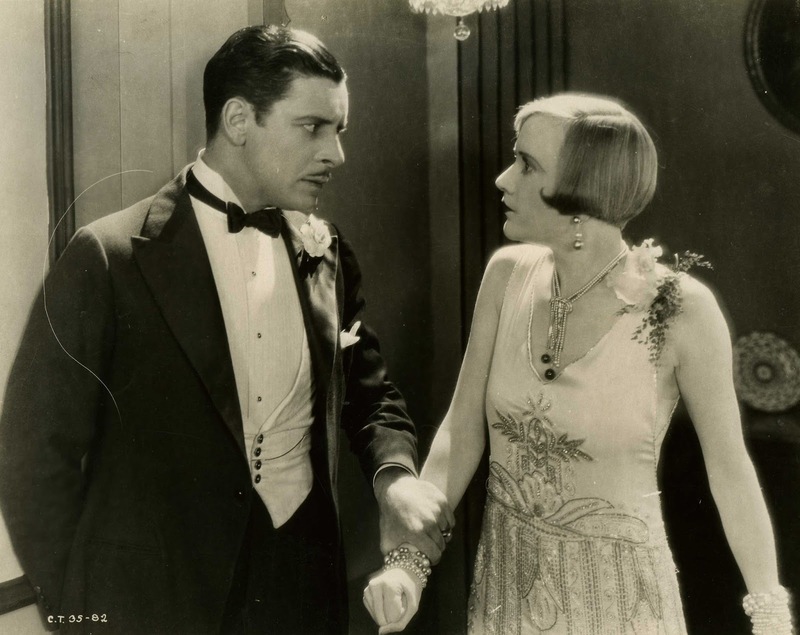 Ronald Colman matches wits with Constance Talmadge in 'Her Sister From Paris' (1925). So what was I saying about slowing down? Maybe I was mistaken. Maybe Halloween isn't really over yet. After all, with the Presidential election just eight days away, perhaps the scariest times are yet to come! See 'Phantom' on Sunday, Oct. 30 at 4:30 p.m. at the Town Hall Theatre in Wilton, N.H.
We're getting near the end of this year's Halloween silent film decathlon, with just two shows remaining. Tonight (Saturday, Oct. 29), I'll do music for this year's final screening of 'The Man Who Laughs' (1928), the film in this year's "rotation." 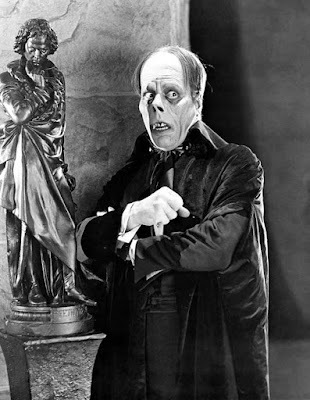 And then Sunday afternoon, it's Lon Chaney in 'Phantom of the Opera' (1925) at the Town Hall Theatre in Wilton, N.H. Showtime is at 4:30 p.m.; more details in the press release attached to the end of this post. It's been such an eventful week that there's a lot to round up. Here's what happened since last time I checked in, day by day. 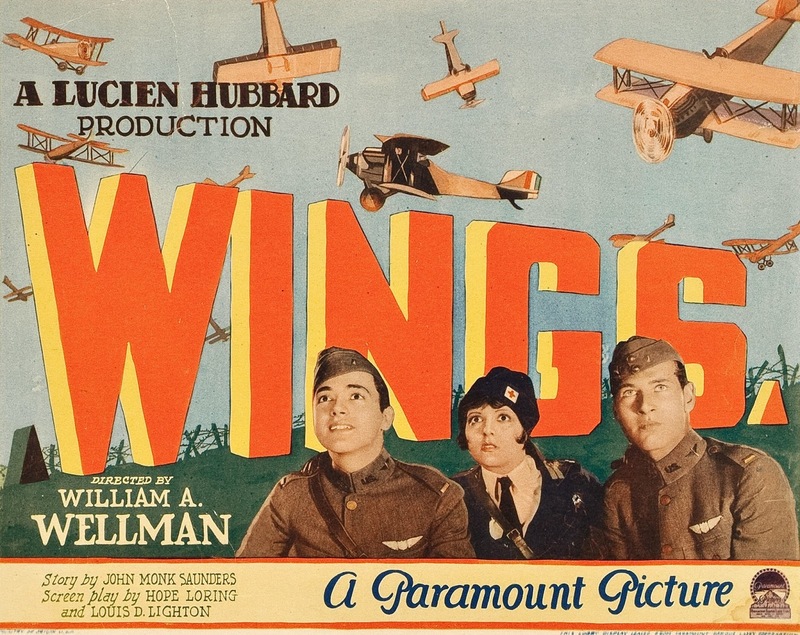 • Sunday, Oct. 23: Pulled into the parking lot of library/town office building in Whitingham Vt. at precisely 1 p.m. to see a large sign promoting their silent film screening...at 1 p.m.! What?! I thought showtime was 2 p.m. Ooops! I rushed into the library to find librarian Kristine Sweeter completely unruffled. "It's okay," she said. "We're pretty relaxed around here." It's embarrassing to blow into a venue at the exact time when everyone expected the show to start, but the people of Whitingham could not have been nicer. Geography note: the library is technically in the Village of Jacksonville, which is part of the Town of Whitingham. Just to be clear. After setting up in record time, the screening of John Barrymore in 'Dr. 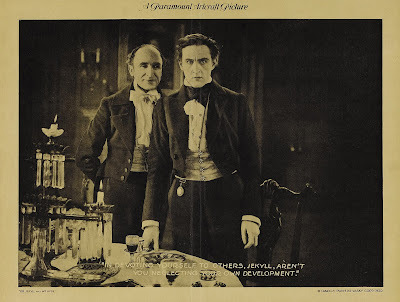 Jekyll & Mr. Hyde' (1920) took place in a corner of a sprawling 19th century function hall, with people arrayed in chairs behind me. No one was more than 15 feet from the screen, I think. And it all went very well—people really enjoyed the experience, and lots of good questions afterwards. Fun fact about Whitingham: It's the birthplace of Brigham Young! I would have stayed longer, but had to hit the road for the drive to Boston, a two-hour-plus Nantucket Sleigh Ride mostly along Massachusetts Route 2 that took me from deepest rural New England to the big city, where I would accompany 'Phantom' that night at the Aeronaut Brewery in Somerville, Mass. I pulled out of Whitingham at 3:30 p.m., which allowed exactly enough time for a half-hour stop at Machu Chicken, a Peruvian "pollaria" in Somerville's Union Square (not far from the Aeronaut) that does a great inexpensive roasted chicken. And don't confuse it with Boston Market: the place received a special permit to import a rotisserie oven from Peru, similar to the kind you'll see in the windows of restaurants lining the streets in Peruvian cities. It's roasted chicken, but really quite different. And thus would I fortify myself for what promised to be a big show at the Aeronaut: not only was a heavy turnout expected, but a well known and highly regarded silent film accompanist was in town and planning to drop in. 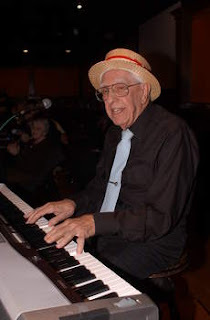 For me, it's always a big deal when another accompanist is in the audience. It serves as special motivation to be at the top of your game and do your very best. I made it all the way to Somerville right on schedule. Great! About a quarter mile from Union Square, I was just starting to congratulate myself on how everything was working out when blue lights appeared ahead. The street was closed! (I found out later it was for a Halloween Parade in, yes, Union Square.) And cops were directing all vehicles into a maze of sidestreets where traffic just STOPPED. When we didmove, it was half a car length before stopping again. Dinner time came and went. And never mind dinner—I began to be concerned I wouldn't make it to the Aeronaut in time. I eventually made my way in a giant improvised loop through streets I'd never heard of, finally getting to Park Street and reaching the Aeronaut via the back way. It was 6:20 p.m., with showtime at 7 p.m. So not as close as Whitingham, but close enough! Alas, our guest of honor was waylaid and couldn't make it. But it lent an air of excitement to the evening that I think helped the performance. Hey, whatever it takes! One interesting wrinkle to 'Phantom' was that we tried to work in an audience participation angle, billing it as a "Collaborative Phantom." Prior to screening, I asked the audience to be prepared to do two things. One was any time there were scenes of the opera house audience applauding, I needed them to applaud, too. The other was at two points, they needed to scream their heads off. The first time was when the chandelier falls from the ceiling, crashing to the ground floor. The second: when the Phantom's mask is removed. We tried a few practice runs, and everyone seemed into it. And during the film, it worked great! The unmasking scene seemed especially magnified by the intentional loud shrieks. So I might keep doing it. Afterwards, two very stylishly dressed women with jet black hair came up to chat. Turned out they were visiting from Peru! We had a nice talk about Inca Cola and other things peruvian, including my missed “Pollo a la Brasa” meal. They said it sounded like the place where Peruvian families would go on a Sunday when no one wanted to cook. Afterwards, this was enough for me to circle around Union Square on the off chance that Machu Chicken was still open at 10 p.m. on a Sunday—and it was! So yeah, I had a couple of good screenings. But boy did I enjoy that Peruvian barbecued chicken! 'The Man Who Laughs' (1928) in Plymouth, and several other locations. • Tuesday, Oct. 25: Driving north for 'The Man Who Laughs' (1928) at the Flying Monkey Moviehouse in Plymouth, N.H., hit my first snow squall of the season. Audiences have really responded to it, and Plymouth was no exception. Lots of great conversation about this film, which is based on one of Victor Hugo's lesser-known works. I recall someone wondering how the book differed from the movie. I didn't know, but someone said something along the lines of, "I bet the book ended with everyone dying, and Hollywood had to change it to a happy ending." Afterwards, I checked. That's exactly what happened! • Wednesday, Oct. 26: 'The Man Who Laughs' again, this time at Merrimack College's Rogers Center for the Arts in North Andover, Mass. Very large turnout for this—maybe about 80 people. Another good screening highlighted by my goofy remark referring to larges jars of candy in the lobby. "Halloween is fast approaching, yes, and the organizers of tonight's event hope you enjoyed your share of the candy out in the lobby. Tonight's screening, by the way, is sponsored by the American Dental Association." • Thursday, Oct. 27: Drove in driving rain down to the Capitol Theatre in Arlington, Mass. to do music for 'The Unholy Three' (1925), a very strange vehicle in which Lon Chaney plays a sideshow ventriloquist who turns his talents to crime. This being the first screening at a new venue for me, so turnout was limited. I think we had about a dozen people. Alas, no image check was done prior to the show. I didn't think to ask for it because the Capitol is sister theater to the Somerville Theater, where I've done shows for years now, and where on-screen image concerns are top priority. So I was surprised to see 'The Unholy Three' start up in wide-screen ratio! What? It didn't help that the first image of the film is of the "fat lady" in the circus, who was wide enough without being stretched further. After a minute, when I sensed that no one was going to fix this, I decided I had to stop and fix this. So I did something I almost never do: I stopped playing, stood up, and told the people there we had to stop and start over because the picture was in the wrong aspect ratio. They stopped the picture, but then nothing happened. So I went back to the keyboard to play some interlude music while things were fixed. After a few minutes, a woman comes down to talk with me. It's the manager. And she's great and understanding and all, but says there's simply nothing they can do to change what's on the screen. So we chatted, and it was soon clear that yes, they had no ability to fix the problem on the equipment in the booth. Sheesh! So I had to stand up and change my whole pitch to the audience, saying that we were now going to discover how good this film was by finding out if its impact is at all diminished by showing it in the wrong proportions. No one seemed to mind, though. And off we went, it after awhile you really do kind of forget about how things are stretched horizontally. Makes me wonder what else we come to accept as natural even if it's dead wrong. I guess we'll find out with the upcoming Presidential election. Har! On the marquee! In green! The Regent, a busy artistic hub for all manner of performances, does show film, and silent film with live music worked so well as part of their 100th anniversary celebration last April, they thought it was worth trying again, hence tonight's screening. Wasn't sure what to make of the Regent's "ear plug box." Well, they were right: About 140 people crowded into the screening, one of those where everything really came together. Great audience reaction throughout, and a fairly sizeable group came down to the keyboard for questions some demonstration. We call it 'Chiller Theatre' in part because it's Halloween weekend, and also because the summer-only theater has no central heating. It's tonight at 8 p.m., and she's planning to go. Hope you are, too! WILTON, N.H.—Get into the Halloween spirit with a nerve-rattling silent horror film! 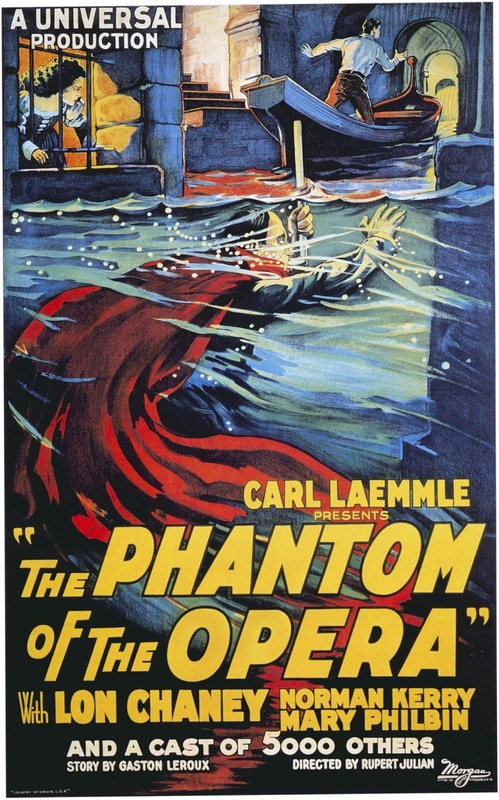 'The Phantom of the Opera' (1925), the first screen adaptation of the classic thriller, will be shown with live music on Sunday, Oct. 30 at 4:30 p.m. at the Wilton Town Hall Theatre, 60 Main St., Wilton, N.H.
Live music will be performed by silent film accompanist Jeff Rapsis. Admission is free, with a donation of $5 per person suggestion to help defray expenses. 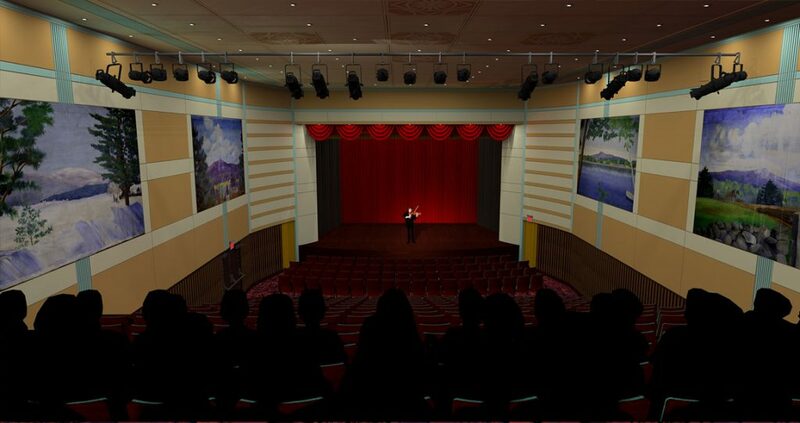 The screening is part of the Town Hall Theatre's ongoing monthly silent film series. 'The Phantom of the Opera,' starring legendary actor Lon Chaney in the title role, remains a landmark work of the cinematic horror genre. To modern viewers, the passage of time has made the picture seem even more strange and otherworldly. "The original 'Phantom' is a film that seems to get creepier as more time passes," said Rapsis, who is based in New Hampshire and accompanies films at venues around the nation. "It's a great way to celebrate Halloween, and also the power of silent film to transport audiences to strange and unusual places." Chaney transformed his face by painting his eye sockets black, creating a cadaverous skull-like visage. He also pulled the tip of his nose up and pinned it in place with wire, enlarged his nostrils with black paint, and put a set of jagged false teeth into his mouth to complete the ghastly deformed look of the Phantom. ‘The Phantom of the Opera’ (1925) will be shown on Sunday, Oct. 30 at 4:30 p.m. at the Wilton Town Hall Theatre, 60 Main St., Wilton, N.H. Admission is free; suggested donation of $5 per person. 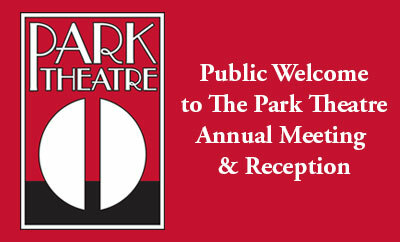 For more info, visit www.wiltontownhalltheatre.com or call (603) 654-3456.